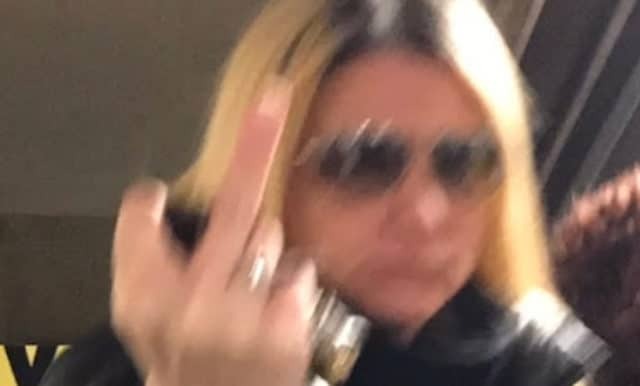 Pictured, NYC Subway rider, Anna Lushchinskaya who attacked Asian female, Michelle Tung. Michelle Tung the Asian female set upon by deranged NYC Subway rider, Anna Lushchinskaya speaks out. Brooklyn lawyer has a history of public skirmishes. A Brooklyn commuter seen on viral video being attacked at the hands of an unhinged female passenger (with a history of prior skirmishes) has told of being set upon the moment she got on the train. The victim, identified by the New York Daily News as 24-year-old Michelle Tung, said at first, she did not think 40-year-old Brooklyn attorney Anna Lushchinskaya was addressing her on board a slow-moving D train at around 8am on Tuesday. But then Tung says the blonde woman carrying a large Louis Vuitton bag purposefully bumped into her. ‘And I said, “Don’t touch me with your bag,” and then that’s when the video started with the “f*** off,”‘ Tung told ABC Eyewitness News, referring to at least two viral cellphone recordings showing the violent altercation. ‘She hit my phone and my hands,’ Tung recalled, adding that she was scared, especially when Lushchinskaya grabbed a set of keys in her hand. ‘I’m lucky that she didn’t have any weapons on her, like knife, gun, ’cause it could’ve got [sic] a lot worse,’ Tung said. Tung said hearing Lushchinskaya use a racial slur against her ‘really pissed’ her off. Online records reveal Lushchinskaya, who also uses the name Anna Luschchinsky, is an attorney with a small private practice in the Sheepshead Bay section of Brooklyn. She graduated from New York Law in 2004 and earned her license later that year. She has no history of public discipline, according to the New York State Unified Court System’s website. 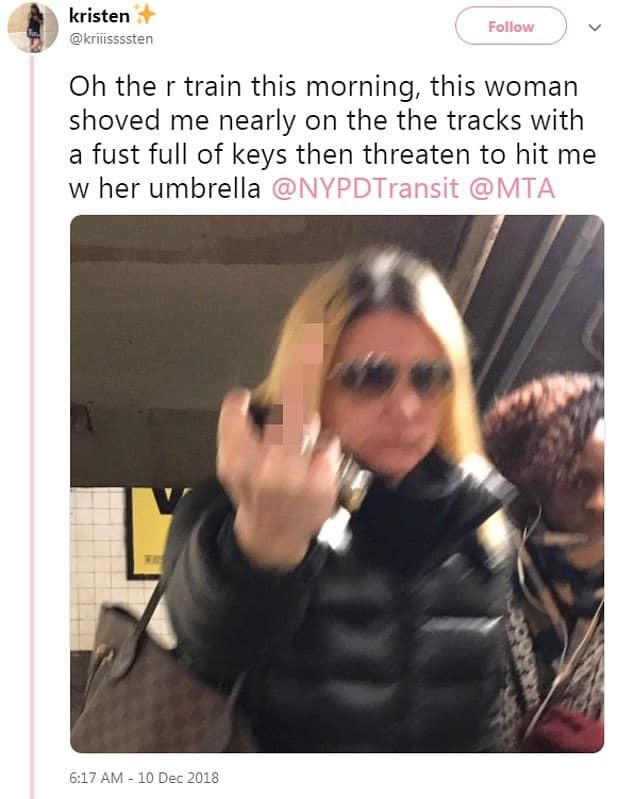 On Monday, one day before the D train arrest, a Twitter user posted a photo that appears to be Lushchinskaya, saying that on the R train ‘this woman shoved me nearly on the the tracks with a [fist] full of keys then threaten to hit me w her umbrella’.